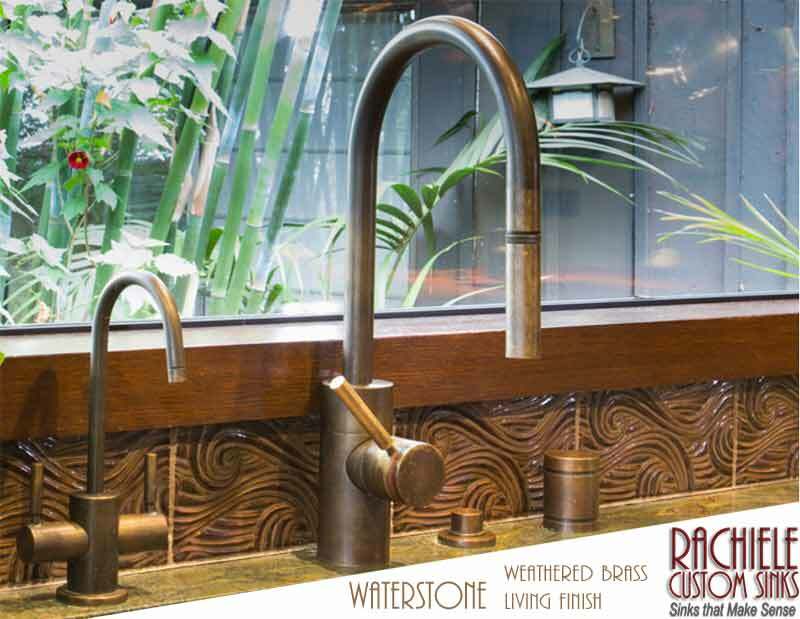 There is no better faucet on the market than a Waterstone Faucet! Check out this company that sells parts for every manufacturer, including those who have gone out of business - except Waterstone! Why? No requests for parts! 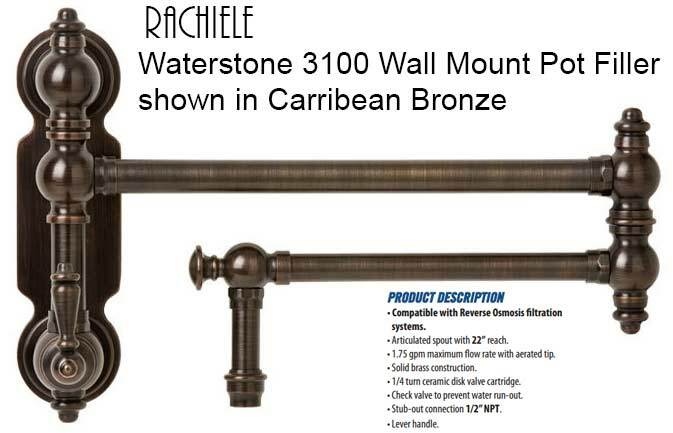 Notice: If you see lower prices for Waterstone Faucets Online, you are possibly looking at a company that is NOT authorized by Waterstone. Why is this important? 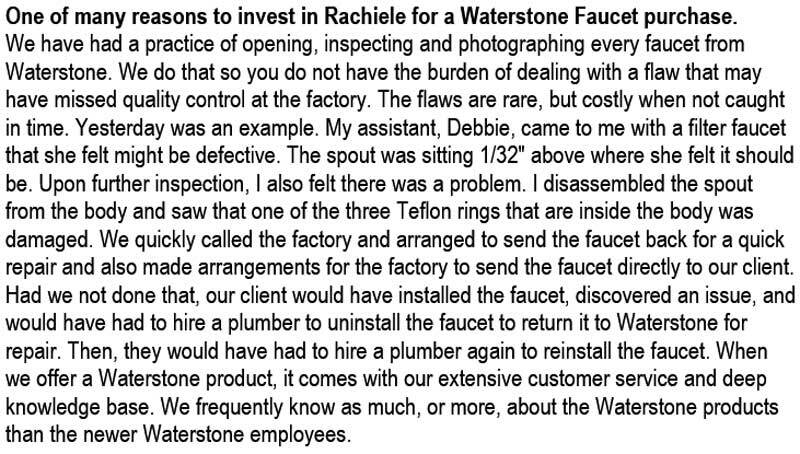 Waterstone will NOT warranty the faucet. 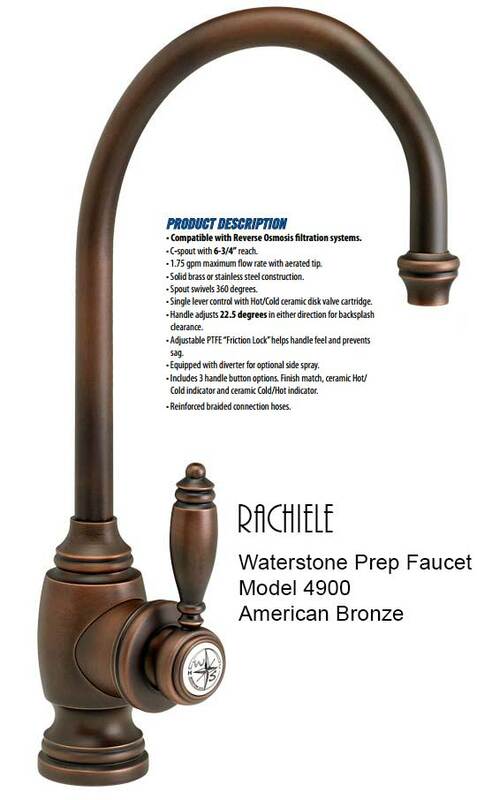 This was confirmed by someone who called regarding their faucet purchase on Amazon and the customer was told the faucet was not under warranty! If the company indicates they are an authorized dealer and their prices are lower than Waterstone set prices, their authorized status may be terminated - again leaving you in a bad position. 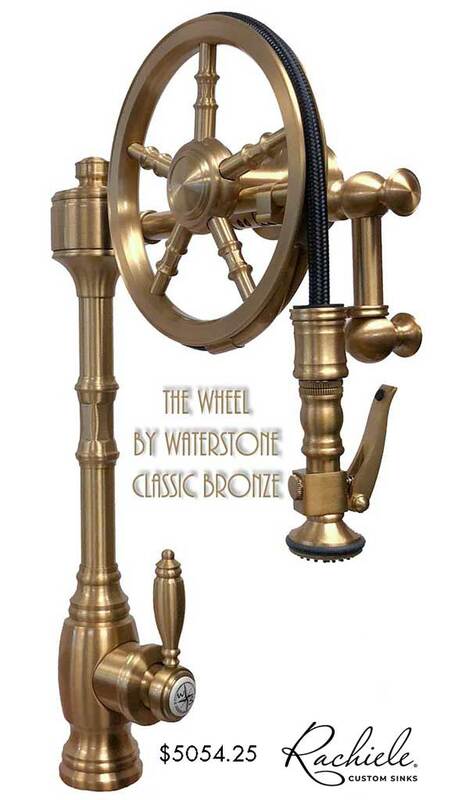 Why is it so important for me to offer Waterstone? Their designs allow my sinks to function at their full potential! 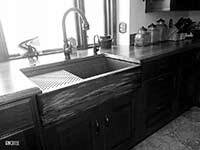 By the way, I offer an additional discount when you invest in one of my sinks! 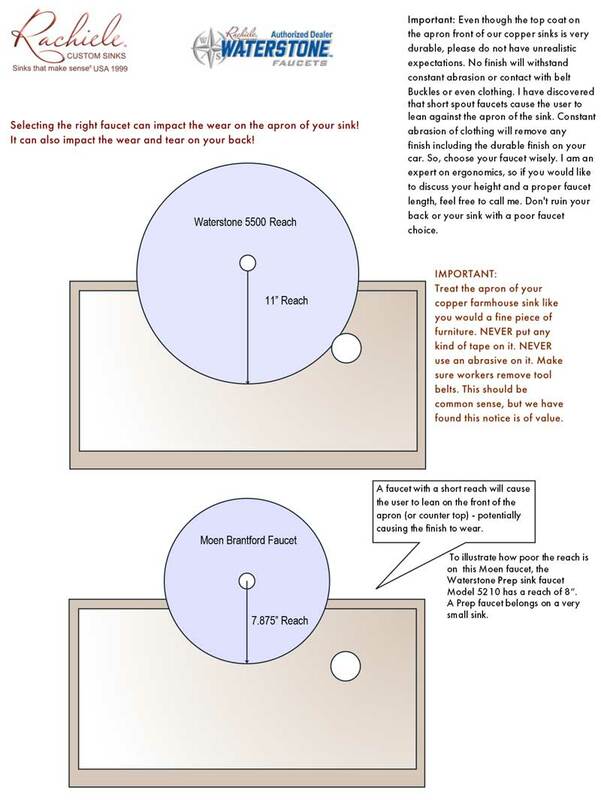 Important: Protect your sink investment with a properly designed faucet. 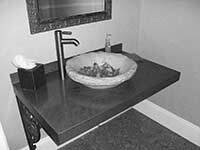 Even though the top coat on the apron front of our copper sinks is very durable, please do not have unrealistic expectations. No finish will withstand constant abrasion. My own sink at home is 17 years old and has no scratches or marks on the apron after all these years and we took no extra caution other than what would be considered normal thoughtful care. I have recently discovered that short spout faucets cause the user to lean against the apron of the sink. Constant abrasion of clothing will remove just about any finish. Think of rubbing a piece of cloth on the same spot on your car for a few years. You will soon see bare metal. Choose your faucet wisely. My personal experience is interesting. At home, I never lean against the apron of my sinks. In fact, when I attempt to do so, it is awkward. We recently spent some time in an apartment. The first time I washed my hands in the kitchen sink I found myself leaning against the counter. I also noticed there was a strain on my back that I was not accustomed to. A short spout on a cheap faucet was the culprit. I am an expert on ergonomics, so if you would like to discuss your height and a proper faucet length, feel free to call me. 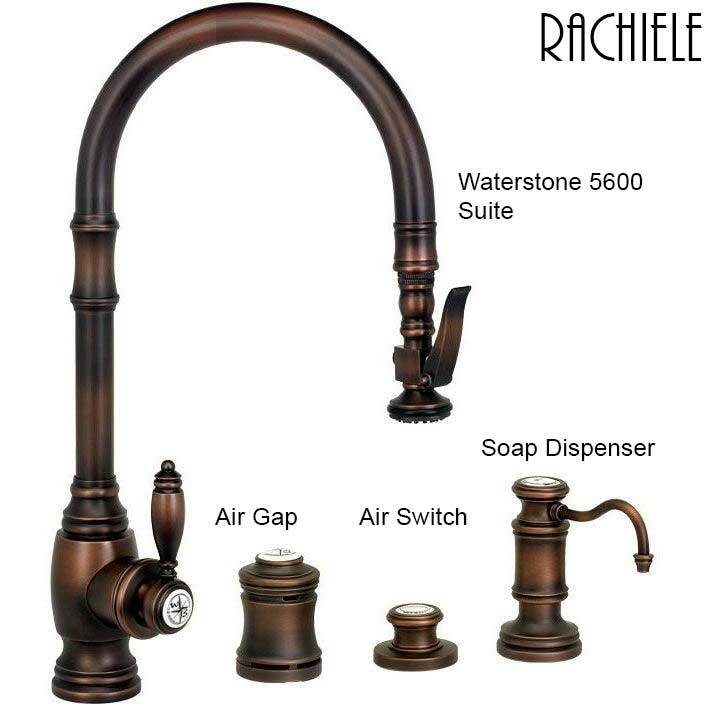 Don't ruin your back or your sink with a poor faucet choice. 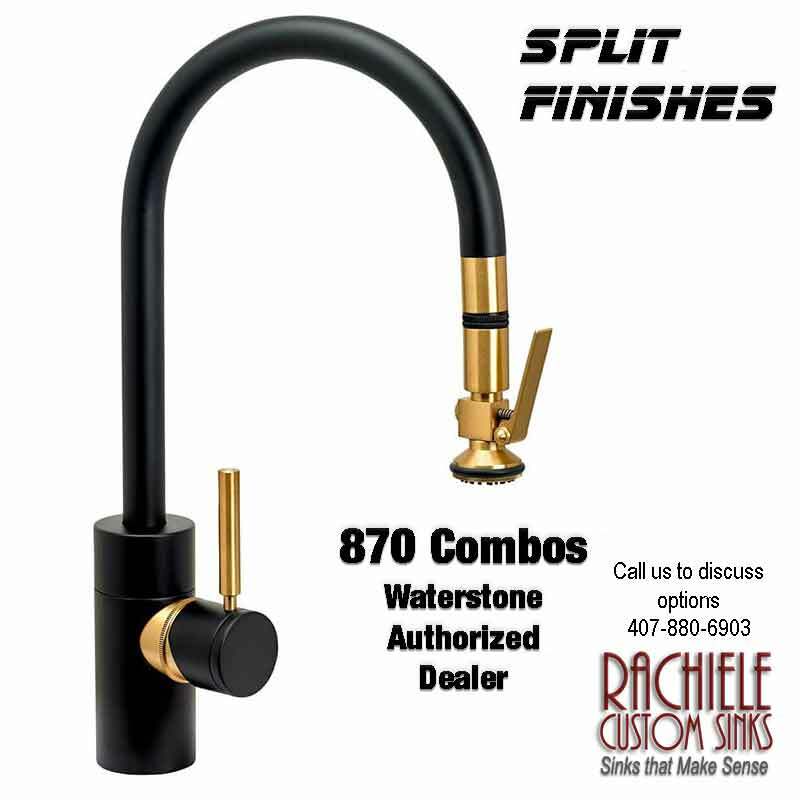 Watch a demo of the 5500 Waterstone faucet Take a look at the Wheel Faucet, then look at the quality differences between Waterstone and other faucet brands. 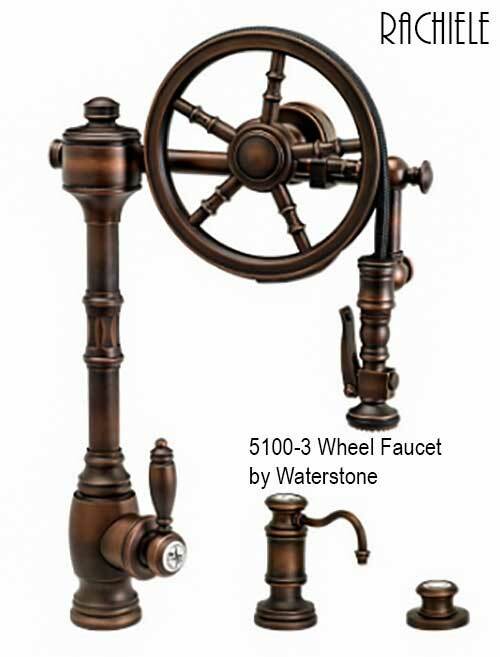 Check out the "Wheel" Faucets to the left. 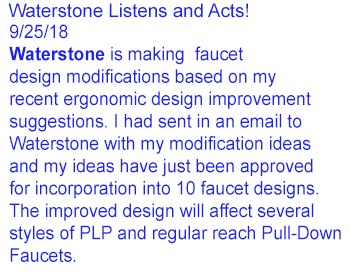 Honestly, when I first saw the design I thought it was a cool looking faucet but I assumed it had to be difficult to use. I was wrong. It is very easy and functional to use! You have to be strong in order to lift one. It weighs just under 30 pounds! 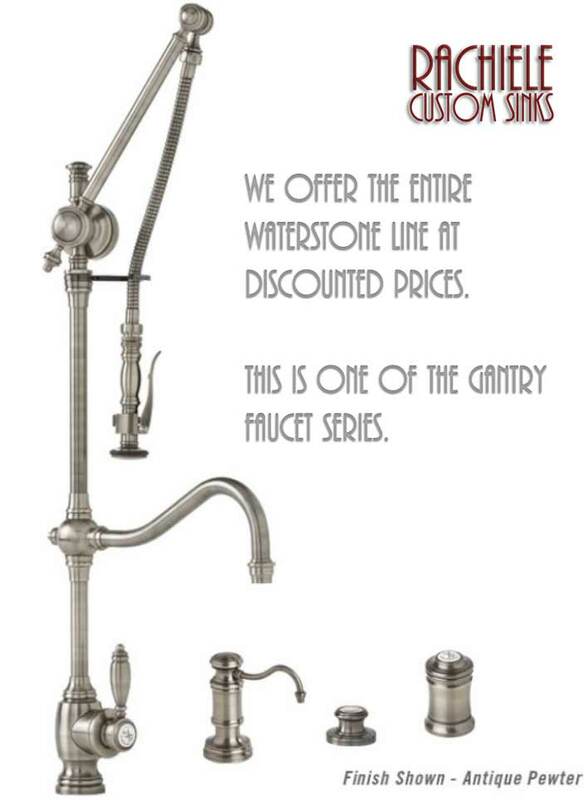 Just to be safe, figure 4-6 weeks to receive a Waterstone faucet other than what you see on this page. 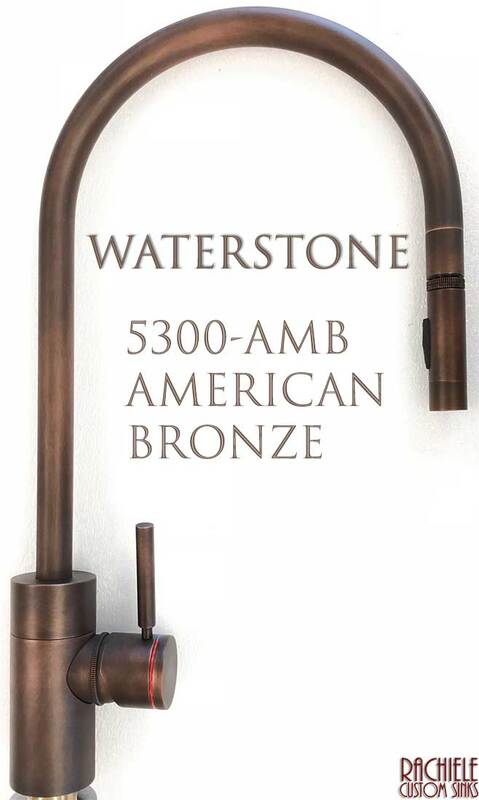 I try to keep most of what you see, below, in stock in American Bronze. 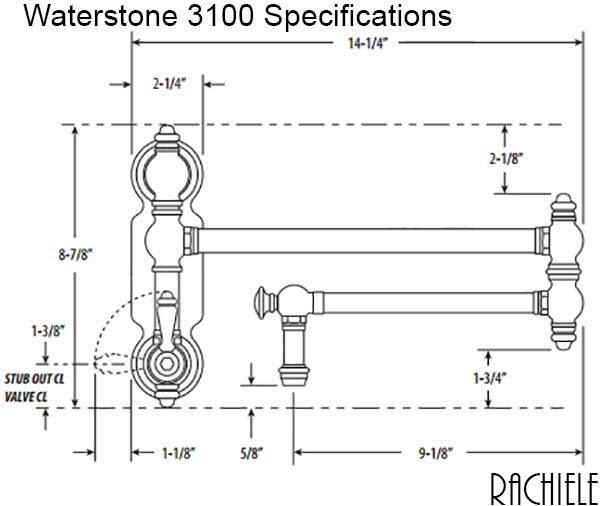 The 5610 is a revision of the 5600 with an idea I emailed to Waterstone. I suggested to put an angle on the faucet return so it would reach further into the sink. In less than three months, Waterstone put my idea in their pricebook and is already producing them! How is that for a company that listens to it's customers? 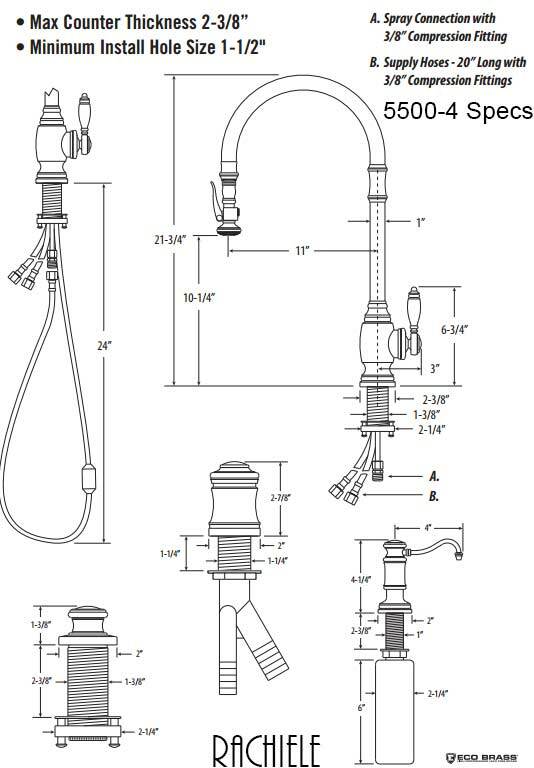 $2,215.00 $1,677.60 Faucet price only. Add accessories and finish options below. 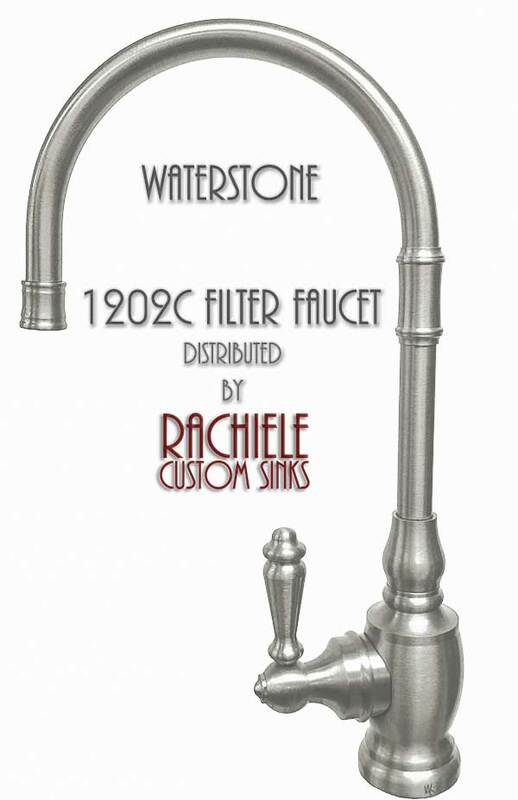 This is my favorite traditional faucet from Waterstone. It is easily the most ergonomically correct and the spray pattern is amazing! 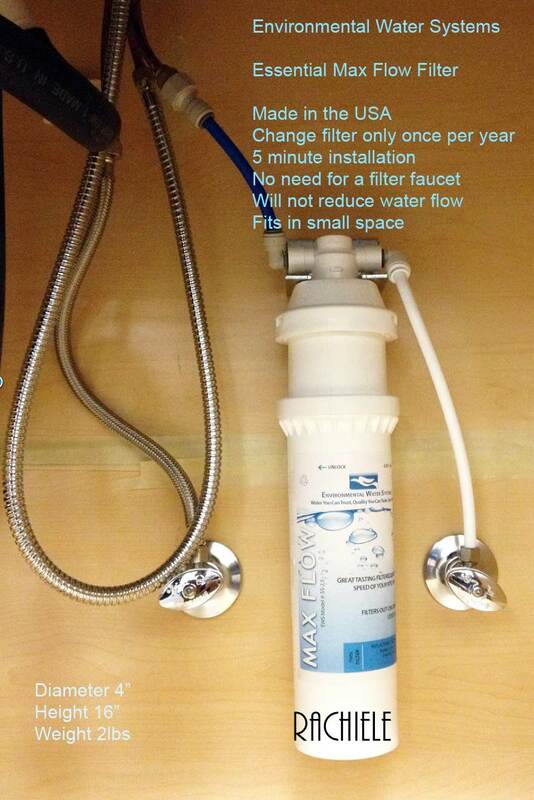 You may not need one of these if your order one of the EWS filters that will hook up to the cold side of your main faucet. 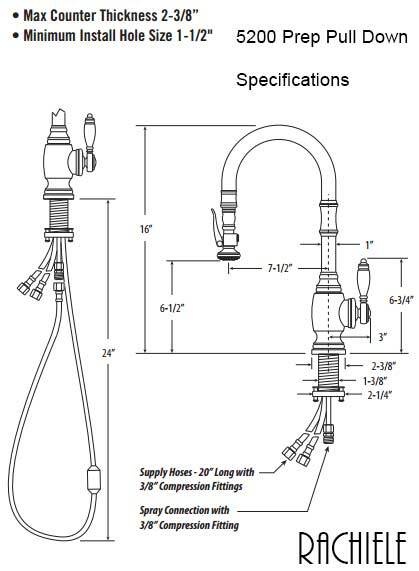 The cost of the filter is only $379 - Scroll down the page to see more. 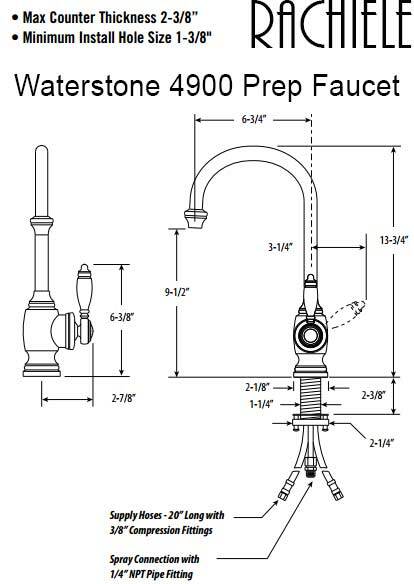 NEW 5200 Pull Down Faucet: A Pull down Prep Faucet - 16" tall. 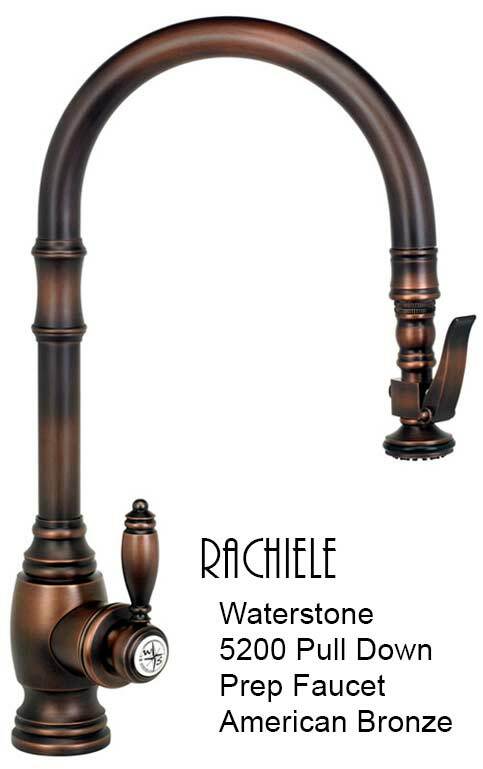 Perfect for a small prep sink or bar! NEW! I have been wishing for this size for years. 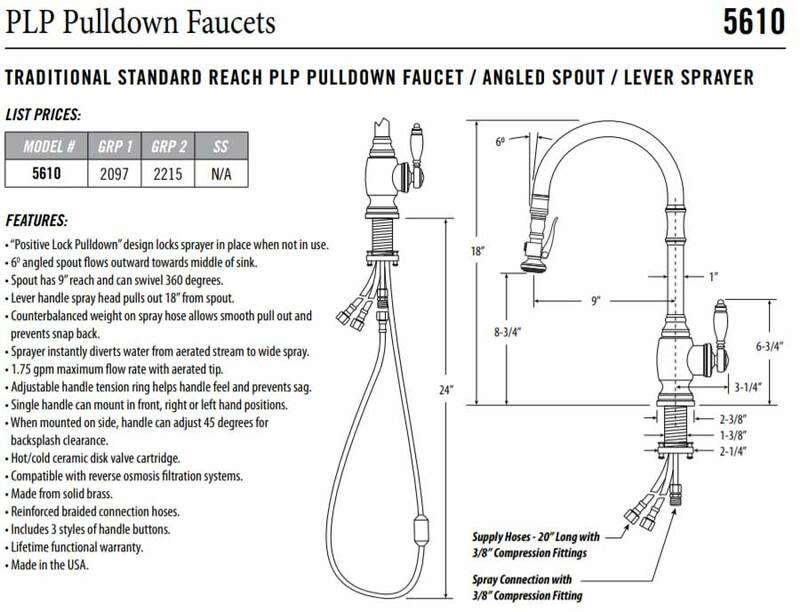 This is the perfect faucet for our 18" prep sinks. 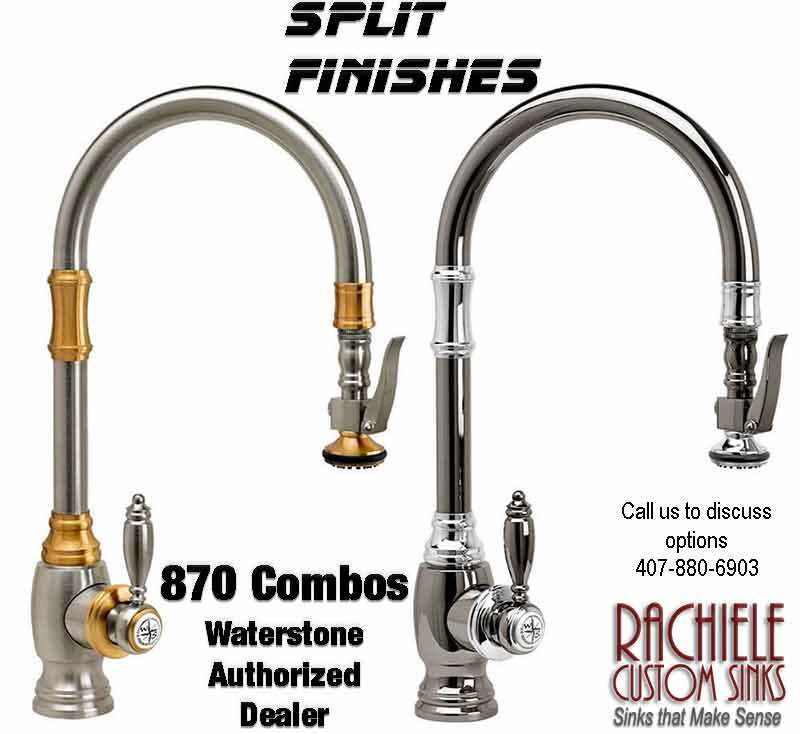 If you would like to see the contemporary version of these faucets, watch the video to the left. 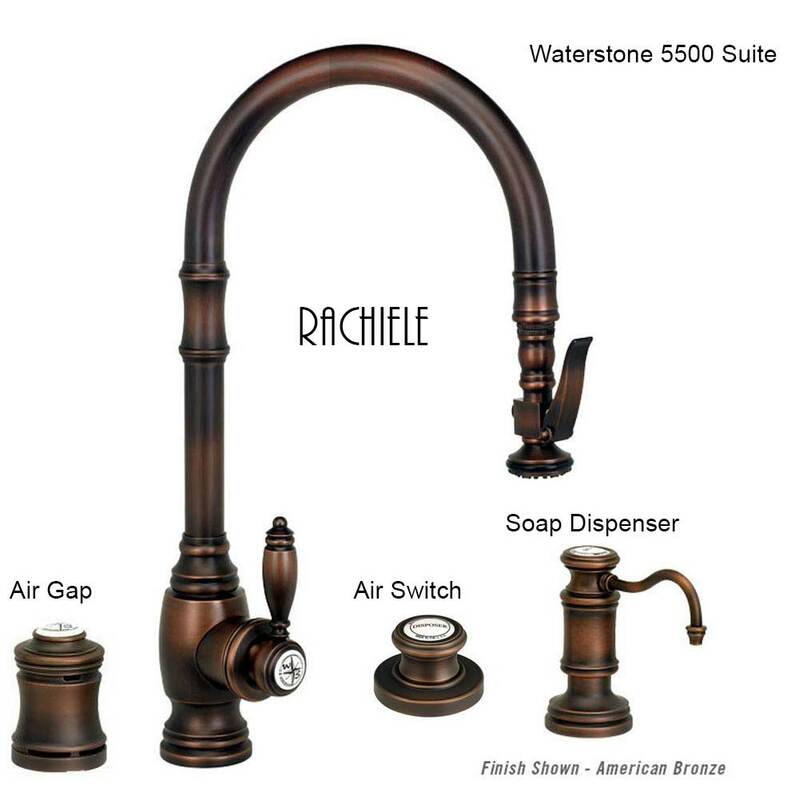 Extended reach contemporary faucet in American Bronze to the right. 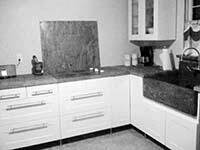 If you are considering a "Living Finish", take a look at this one that has been in use for a while.